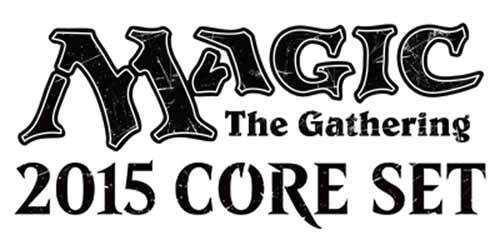 Magic: 2015 Core Set - Intro Pack - Flames of the Dragon: Nothing pleases a dragon more than terrifying the local populace and curling up on an enormous pile of loot. Flaunt your own board of artifacts as a warning to those who would challenge you. 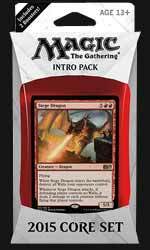 The deck contains a ready-to-play 60-card deck featuring a foil premium Siege Dragon, two sealed 15-card booster packs, a strategy insert, and a rules reference card.